It’s 5 a.m., I’m in New York City and for the umpteenth time in recent months, I’m awake and about to board an early-morning flight. 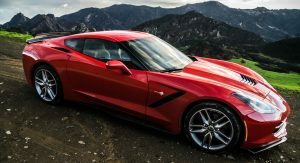 Today, I am flying to Los Angeles and waiting for me on the other side is a 2019 Chevrolet Corvette Z51. This is an early flight I’m more than happy to catch. 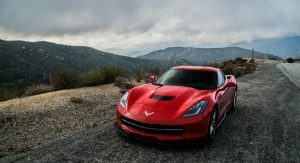 As hard as it is to believe, Chevrolet unveiled the seventh generation of the Corvette more than five years ago. 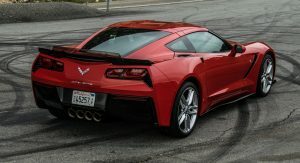 In the years since the C7’s arrival, new competitors have emerged and the Corvette range will soon be upended by the launch of the the C8, which has been spied countless times testing and will feature a mid-engine layout. 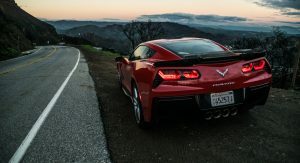 While in Los Angeles, I wanted to see if the C7 is showing its age, if it really needs a replacement, and find out for myself if all the famed Californian roads I’ve dreamed about live up to the hype. Game on. 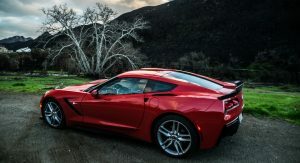 Things start off well when I’m handed the keys to the Corvette I’ll be driving for the next five days. Painted Torch Red, the sports car looks truly phenomenal. 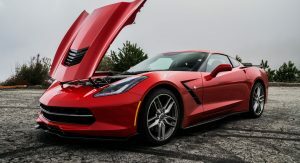 Much of the car’s appeal comes from the optional carbon fiber ground effects package that includes an eye-catching front splitter and side skirts. 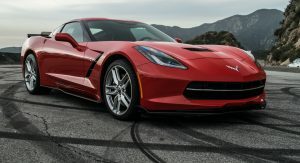 Viewed from afar, it almost looks like a Z06. 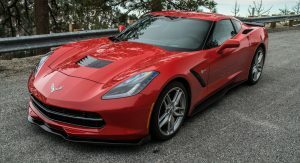 The Corvette I’m driving has also been equipped with the Z51 Performance Package and 2LT trim packages. 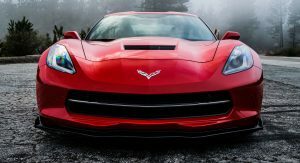 The Z51 adds must-have features like the magnetorheological performance suspension, an electronic limited-slip differential, a multi-mode exhaust, slotted brake discs, a rear differential cooler and an aggressive rear spoiler. The 2LT trim, on the other hand, adds creature comforts like memory seats, heated wing mirrors, heated and cooled seats and a head-up display. 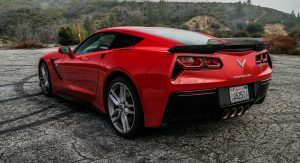 As I only planned on driving the ‘Vette in short bursts and curving mountain roads, I wasn’t bothered by the trim package but was very happy to have the Z51 add-ons. As it turned out, the creature comforts of the 2LT package also proved very useful. 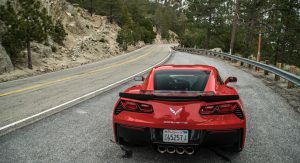 To get familiar with the car, we immediately headed to Angeles Crest Highway the moment the sun rose on the first morning. 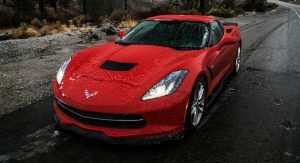 Slide into the driver’s seat, hold down the clutch and brake, turn the engine on, and the Corvette Z51 is ready to go. Quickly turn the Mode Selector to Sport and everything is dialed up. Head into the menus of the infotainment system and you’ll find a separate option to have the exhaust in ‘Track’ mode. I turned it on and for the following five days, virtually never turned it off. 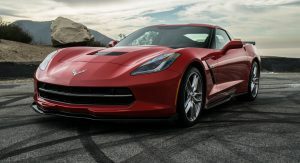 The Corvette Z51 immediately inspires confidence. After just a few corners, I was hooked. Grip at the front is absurd. Unless you’re traveling at speeds entirely inappropriate for public roads, it is virtually impossible to invoke any kind of understeer. With front-end grip taken care of, all you’re left to manage is how the rear grips. Apply too much throttle abruptly and the wheels will spin. 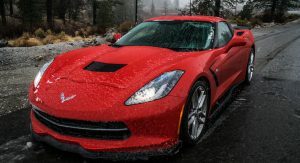 It doesn’t matter whether traction control is on; the Little Red Corvette wants to eat through its rubber. Relax. This is what I tell myself after stopping for a quick photo-op 10 minutes into the drive. I jump back in and quickly find the steering wheel adjustment I’d been searching for frivolously earlier that morning. With the wheel moved as close to my chest as possible, I instantly feel more comfortable. I ensure my arms are loose and my grip on the perfectly-sized steering wheel isn’t too strong. To react to a tail-happy car like this, you simply cannot drive with tensed arms and hands. 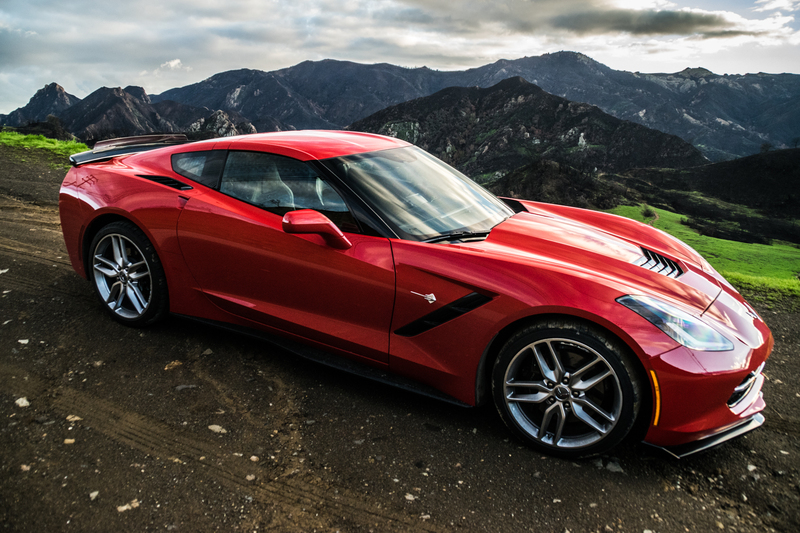 Back on the road and with smooth brake and throttle inputs, the Z51 instantly transforms from an unhinged muscle car into a refined and supple sports car. Time flies past as I find myself joined by other enthusiasts, including one with a particularly quick Honda S2000. 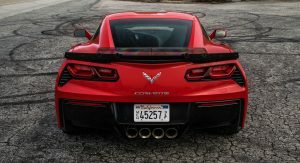 This brings about the first revelation I have with the Corvette. 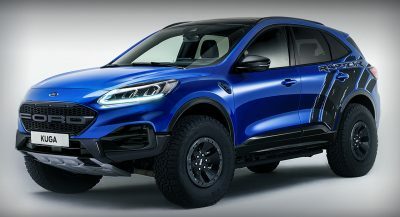 When you want, it can be an absolute maniac and about as anti-social as a car can be. 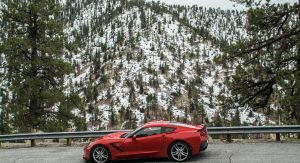 However, when you want to get serious, it can tear through canyon roads at frightening speeds while still remaining controllable. 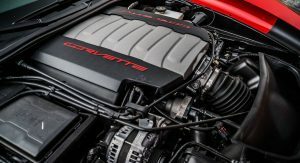 Powering the 2019 Corvette Z51 is a 6.2-liter naturally-aspirated V8 engine with 465 hp and 460 lb-ft of torque. 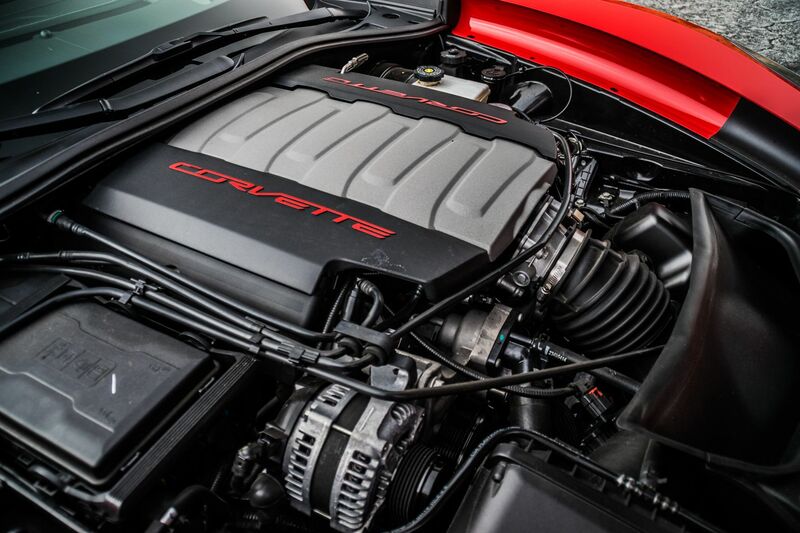 The engine may not be the most fuel efficient, but it’s old-school and a breath of fresh air from all the turbocharged and supercharged alternatives on the market. 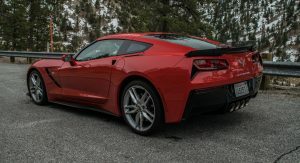 Chevrolet’s software geniuses have designed various modes for the engine and exhaust from ‘Stealth’ through to ‘Track’. In Stealth, it’s a bit louder than a small hot hatch. In Track, it produces an animalistic gurgle that’s part roaring lion at low revs and screaming T-Rex as the revs climb. It’s intoxicating and reminds you why V8s are so popular. The vehicle’s Magnetic Ride Control system is equally as impressive. 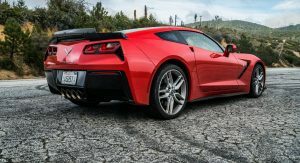 When placed in the vehicle’s most compliant ‘Tour’ mode, the suspension makes the ‘Vette entirely usable on a daily basis. Not even the pothole-ridden roads of Los Angeles bother you too much. 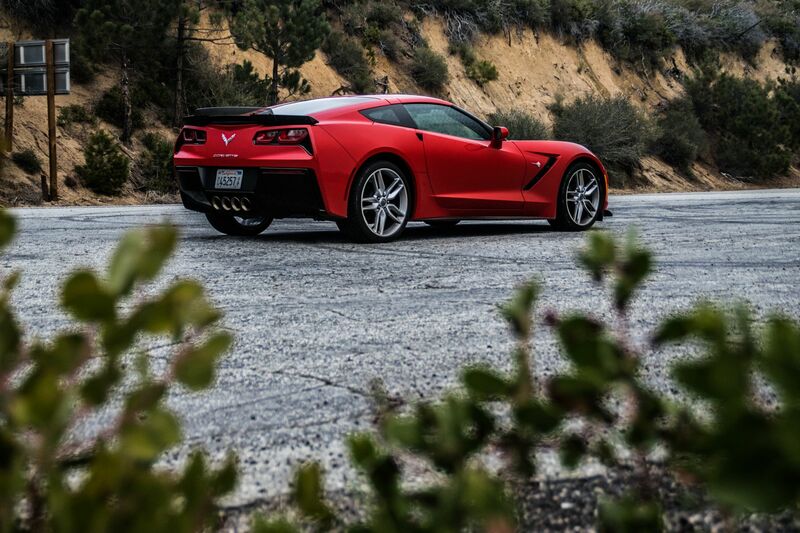 It’s not just on mountain roads where the Corvette shines, though. 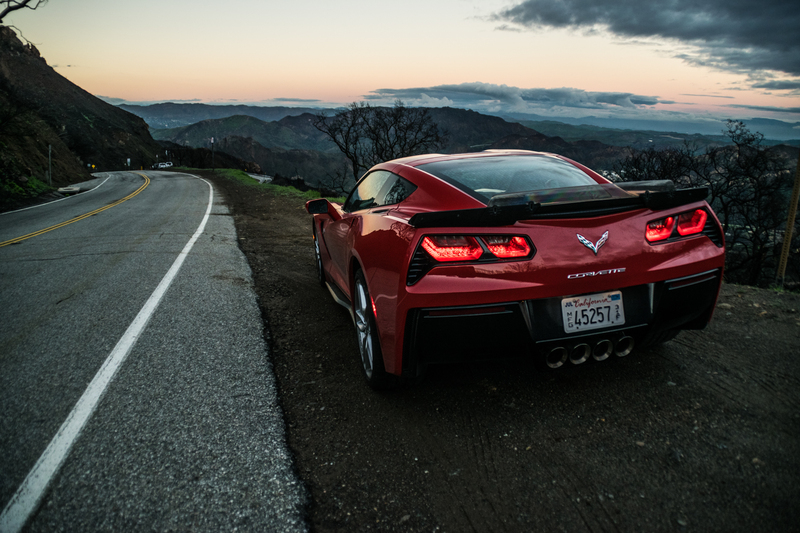 During our time with the car, we cruised along freeways around California for hours on end and never felt tired. 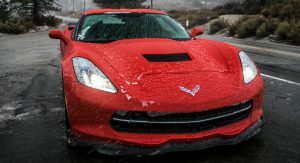 We have the plush heated and cooled seats to thank for this, making the available 2LT and 3LT packages an absolute necessity for any prospective Corvette buyers. 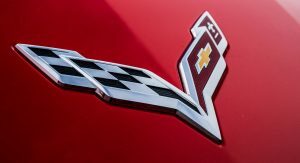 So if the Corvette doesn’t show its age on the road, does it show it elsewhere? The answer is yes: in certain aspects of its interior. Let’s start by getting the elephant out of the room. 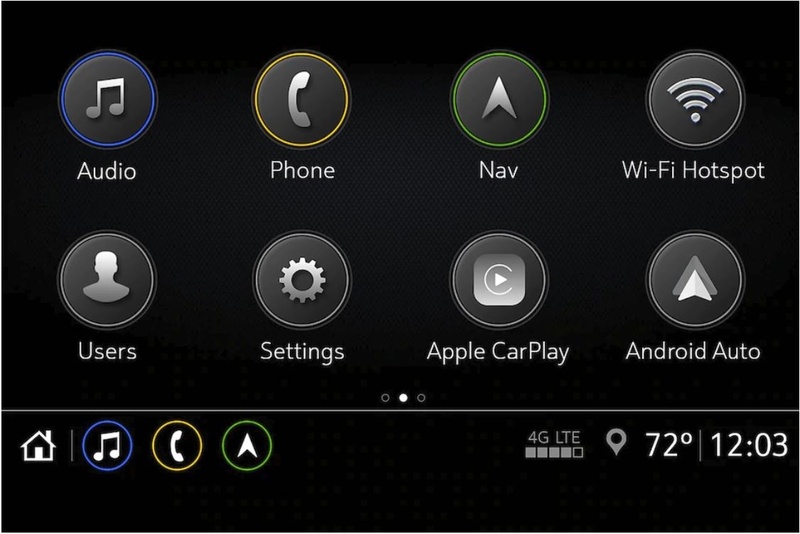 The infotainment system. It is terrible. More specially, the touchscreen is horrific. Even the most simple input triggers a delay of up to two seconds, sometimes more, before anything happens. We also found ourselves repeatedly tapping the screen before the desired function was made. I’ve driven $15,000 hatchbacks with far superior touchscreens. On one occasion, the system failed to recognize my phone either over Bluetooth or through the USB connection and Android Auto for over 30 minutes. Despite turning the car on and off repeatedly and doing the same with my phone, it failed to detect my device. By the time I got everything going again, I’d already reverted to listening to LA radio rather than Spotify and started using the onboard navigation system as opposed to Google Maps or Waze. 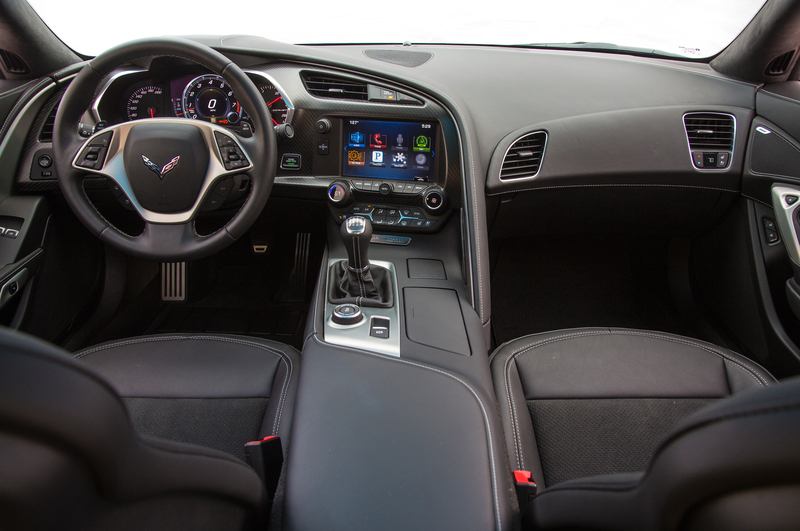 Beyond the infotainment system, I was quite fond of the ‘Vette’s cabin. The steering wheel is a great size and shape and includes soft suede microfiber. The switches, while plastic, provide positive feedback. 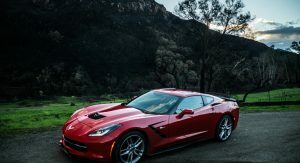 The throttle, brake, and clutch pedals are also nicely weighted and the transmission tunnel doubles as an excellent armrest for both the driver and passenger. Onboard WiFi is also a nice addition. At no stage while driving the car for almost 900 miles (1450 km) did I feel like the cabin urgently needed an overhaul. It may not be beautiful but it is functional. Apart from that infotainment system, of course – this needs an upgrade. 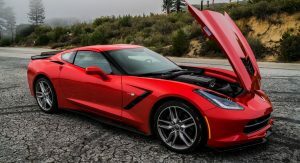 Prices for the 2019 Chevrolet Corvette Stingray start at a mere $56,995, while a basic Stingray equipped with the Z51 Performance Package and 2LT trim package like our tester starts at $66,450. 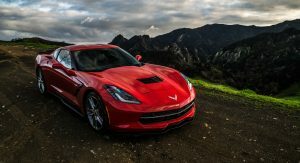 However, a smattering of other options on our car, including the performance data and video recorder, bumped up the retail price to $73,325. 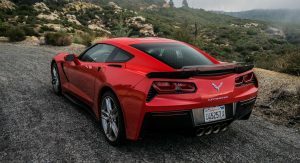 Long story short, the Corvette Z51 is a bargain and remains one of, if not the, best bang-for-your-buck sports car currently on sale in the United States. 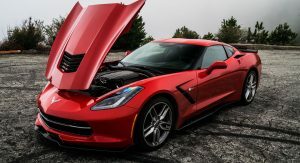 Specced out like our car, it is roughly $40,000 less than a base Porsche 911 Carrera S. You certainly get a nicer interior in the Porsche and an even more exhilarating driving experience, but no 911, save for the Turbo, GT3, and GT2 RS, have a sense of occasion to rival a Corvette Stingray. 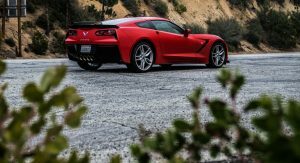 For discerned enthusiasts looking for a fun and enjoyable sports car that doesn’t break the bank, we can’t recommend the ‘Vette Stingray highly enough. 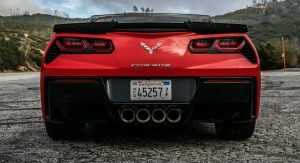 Two things…you reversed the hp and torque…it’s 460 hp, and 465 tq with the performance exhaust (non performance exhaust is 455/460). 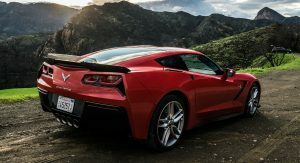 Ive never had the issue you describe with the infotainment system in my 2018 1LT Stingray. My phone paired and stays paired. I’ve never had to re pair the phone in 8 months of owning it. It always works via Android Auto or Bluetooth. I can also listen to my iPod via Bluetooth while the phone is connected to Android Auto by USB with no interference between the two. Your system must have had a glitch. 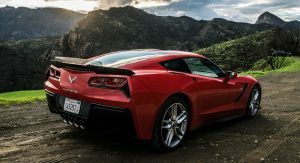 It’s a shame the C7 Corvette did not get an upgrade to the new Chevrolet Infotainment 3 System that is in such models as the refreshed Camaro (as well as Buicks, GMCs, and Cadillacs). It is massively under-covered by the media, but it is so much better than the previous interfaces. It’s clean. It is one of the fastest on the market, and it’s simple and clear enough not to distract you from the road. Take a look at some of these screens for comparison to the one pictured above. 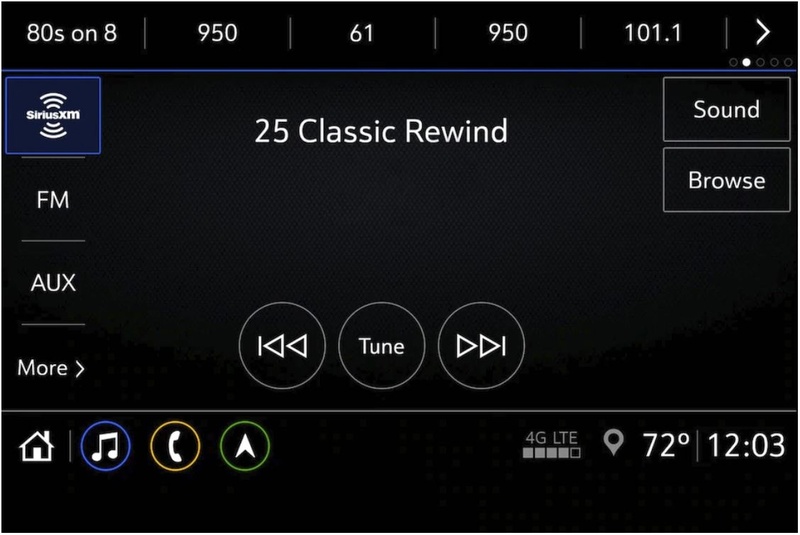 Is it possible to upgrade the infotainment system to this level without “serious work”?? 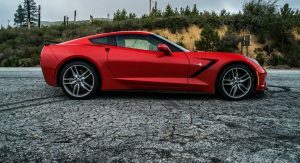 I love my 2016 Stingray 3LT Z51 Coupe! I’ve had many frustrations with the infotainment system. Bluetooth isn’t too bad but I’ve had to forget about trying to plug in an iPod directly. Hit or miss connection and it duplicates songs with no way to clear the data. I’ve had no problem with blindspots. That’s up tp the driver as far as I’m concerned. 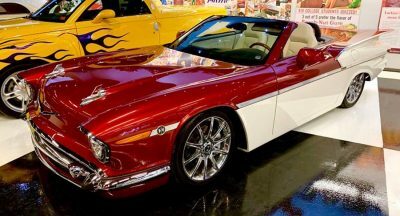 This would be a fun car for a road trip. When I drove a 2019 recently, its hugely exciting. The interior is nearly a complete disappointment. This isnt an exotic, it will get used daily, and the little details a reviewer can forgive are not easy to live with for years. 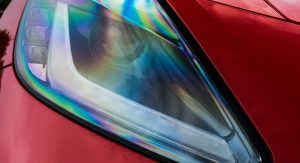 It all in the disappointing details, from the low resolution reverse camera, the fit, finish, general cheap, low-rent feeling and the horrible infotainment. Given how integrated with vehicle systems the infotainment systems of today are, I wonder if you could even meaningfully upgrade this? Anyhow, at $30k used, its a stunning performance bargain. As a new car, its horribly outdated and overpriced. You obviously have no clue what you are talking about and seem to have an agenda here. Of course, fan boy, only you, out of all people, know everything there is to know and have the only valid opinion of all those on earth. Thank you for being born. That new rear spoiler looks TERRIBLE and is ssoooo aerodynamically inefficient. They made it look worse. The infotainment seems to be a huge let down too. All that being said…. 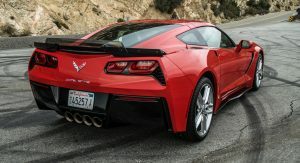 I want a C7 in the worst way. 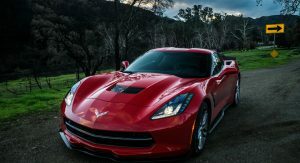 I drove a Z06 a couple of years ago on a road course and it was EPIC! I loved every second of it. 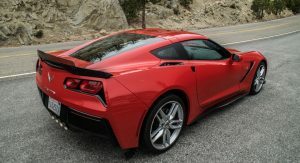 If I ever get one, I can always swap out the rear spoiler for something better looking and more efficient. Not sure if I can swap out infotainment systems though… It wouldn’t be the end of the world if I couldn’t since I probably wouldn’t use half the functions anyway. These do depreciate like crazy so if you could find one optioned the way you wanted with a color combo you liked, that might be the way to go. 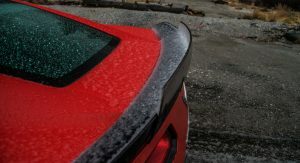 I agree with you regarding the rear spoiler. 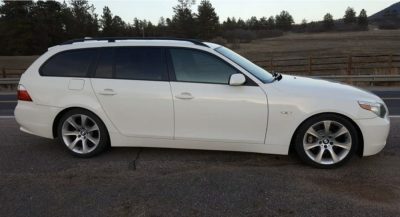 I also omitted the whole lower package thinking as a DD, this car is low enough. 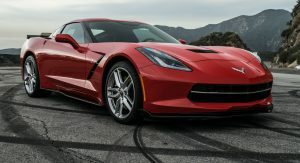 I’ve have a ’19 optioned out exactly like this one in the article (mine’s white) and if you like that Vette that much, you will absolutely love this car. 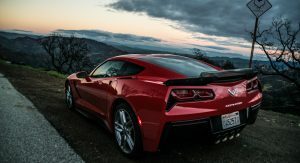 There is a smell of “old school” about it with its torque but on the highway, the speed just continues to roll on until you are looking at a jail cell. Upper end is best to be explored on an enclosed course. The infotainment isn’t as bad as this article makes it sound but it is not better than average at best however this is in reference to interface alone. The sound coming out of the speakers is consuming and satisfying. Lastly, I would like to add if you appreciate a more “cruising” style and like better mpg’s, I would say go automatic (lovely transmission) but if you still like the revs and still have some “boy racer” inside like me, the manual keeps you involved while bonds you with the vehicle. I have had both and I cannot say you can go wrong either way. Next PostNext This Russian Camel Managed To Pull A Lada Out Of The Snow!